What Age Do SSD Benefits Stop? When someone begins receiving social security disability benefits, it can be a big relief. Anyone unable to work due to their condition often considers the monthly payments as a lifesaver. But how can someone be sure that they will continue to receive benefits? And at what age do social security benefits stop? 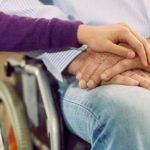 The reality that social security disability benefits aren’t guaranteed forever is something that is important for individuals to know. And even if you are able to keep your benefits long-term, they will still convert to regular social security benefits once you reach the retirement age of 65. 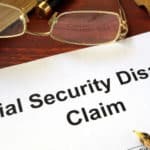 How Can Social Security Disability Benefits End? There are a few reasons why social security disability benefits could be discontinued for an approved individual. The most common and obvious reason that this can happen is that the individual’s condition improves to the point where it is determined that they are able to return to work. The Social Security Administration reviews disability benefits on a regular schedule. Depending on the person’s condition, the benefits are reviewed every 18 months, three years or seven years. During that review, it may be determined that the individual is able to return to work, which would therefore cancel benefits. While less common, incarceration can also cause social security disability benefits to be discontinued. If someone is in jail for over 30 days or goes to prison, the disability benefits will stop automatically. However, once the individual gets out of jail, they can have the benefits reinstated if they are still eligible. Another less common, but possible sunsetting of benefits is if the person goes back to work and is able to earn a substantial income. If someone is attempting to see if going back to work is an option, they may enroll in a trial period for up to nine months where they can work and receive benefits. At that point, if work is possible and the individual decides to continue on, their benefits will end. On the other hand, if they find they are unable to continue working and have to stop, the benefits will continue. If you have questions about benefits, don’t hesitate to get the Milwaukee based social security law firm, Tabak Law, involved. The consultation is always free and there are no fees unless you win.